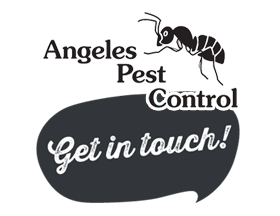 What is Your Pest Inspector Looking for? The following is a list of things that your inspector will be checking for. By taking care of these issues in advance, you will be speeding up your real estate transaction. This is also an excellent list for everyone in caring for your home and helping to make it less conducive to pests. Some of the items you should be checking on about once a year. I always say..."Take care of your foundation area as if you were preparing to paint your home." 1. Remove vegetation touching your siding. 2. Remove any moss on your roof. 3. Look for roof or plumbing leaks or evidence of past leaks. 4. Use water stains on your sheetrock as a sign of a probable problem that needs attention. 5. Watch for mold and mildew. They are a sign of a water or moisture problem that needs attention. 6. Clear your gutter system of any debris and look for any needed repairs. 7. All downspouts need a splash block under it to detour any water away from your foundation. 8. Watch for damp rot and dry rot. Damp rot is evidence of a water problem. It will also cause needed repair and is conducive to insects. 9. Watch for Earth-to-Wood contact, paying close attention to decks, porches and steps. 10. It is required to have a grade level clearance of 18" or more from the ground to the floor joists in your subarea. 11. Your subarea must be clear of cellulose debris (wood, cardboard... anything that can be raked). 12. Sufficient venting in the attic and subarea. 13. Make sure your Dryer is vented to the exterior. 14. Check for damage from insects or rodents and repair it. 15. 6 mil Black plastic vapor barrier throughout subarea, covering all exposed ground. 1. Caulk any openings around electrical and water lines where they enter your home. 2. Store firewood away from your home on concrete blocks. 3. Bring firewood indoors when needed, don't store in advance of use. 4. Remove logs, stumps and waste wood near and under your home.